We all know who the #1 search engine is – Google. But you may not know #2. It’s YouTube. Yes, the video platform is the second largest search engine in the world. • A handyman friend looks up repair instructions before he tackles a new project. • My nephew searched for a video on removing a fish hook from his foot. • A client watched videos about Facebook to become more familiar with Facebook marketing. How can you leverage this for your business? Make short videos about your services or products. Create a Channel on YouTube to gather all of your videos together. A Channel is nothing more than a page on YouTube where you store all of your videos. Here is the channel for Barbara’s Picks. The channel allows you to include your logo, corporate branding, company profile AND all of your videos. If you get Subscribers, they are automatically notified when you upload a new video. When you upload a video, you have the ability to add keywords, a title and a description of the video. When someone does a YouTube search, they can find your video. Hopefully, they find value and subscribe to your channel for future videos. Include a link to your YouTube channel everywhere. On your website. In your email signature. In your email marketing. 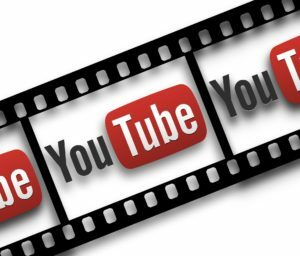 Use your videos, of course, in your social media and link to your channel. Share the post "YouTube Channel"